Today’s rapidly changing environment of educational, research and Industry, demands flexibility in all aspects of circuit design & testing. As the power of reconfigurable and embedded device increases, we find ourselves with the ability to design, simulate, analyze, and even emulate more complex devices with application-specific embedded processors. 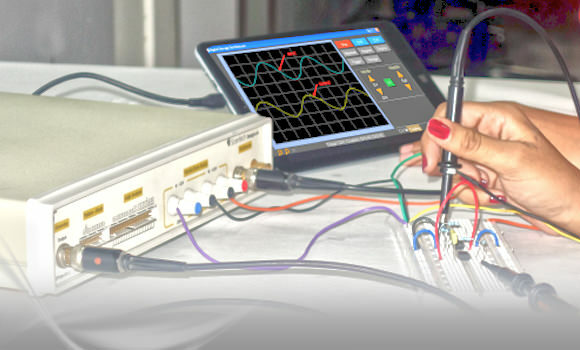 From the software based instrument point of view, the process of measurement has been reduced only to signal excitation, captures, conditioning, processing, and output display. The instrument market is fragmented because instruments are specialized in hardware to serve thousands of slightly divergent test applications. 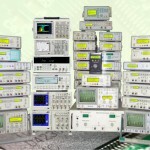 In fact, the traditional classification of measurement instruments (such as voltmeter, frequency counter, function generator, oscilloscope, power supply, virtual component library, event scheduler etc) has now become a single unit with software interactivity. In the present scenario, the concept of circuit design has been switched from discrete design to system on chip i.e. SOC type design. Firstly today’s IC is software configurable and for that user has to use software interface using PC / laptop. So the computer is the necessity for engineers in all domain (basic electronics, VLSI, Embedded, DSP, Communication, Instrumentation, etc.). A Secondly traditional TMI is the basic need for the design engineers. In the modern world, Scientech DesignLab is an ultimate solution for design engineers. As it is space saving, faster testing time, faster troubleshooting, multiple large and simultaneous windows, large storage of waveforms on PC, sharing waveform data, virtual component library for real-world hardware interface, event scheduler to automate testing time, different TMI capabilities like Digital Storage Oscilloscope, Mixed Signal Oscilloscope, Logic Analyzer, Synthesized Function Generator, Pattern / Word Generator, Programmable Clock, programmable power supply etc. Now Institutes can park full setup for each bench which includes one DesignLab and one laptop/tablet on each seat, replacing five to six boxes.